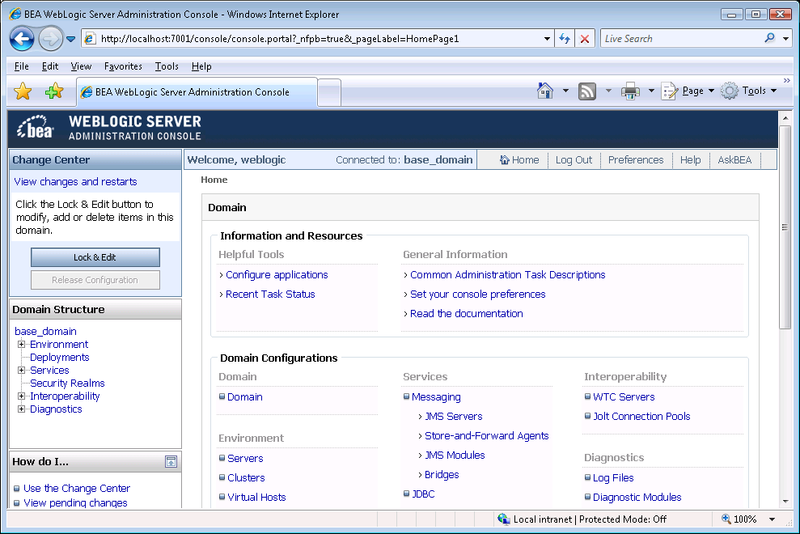 Step 1: From the computer on which the WebLogic Server is running, open the Windows Start menu and select: Programs | Appeon PowerServer 2019 | PowerServer for WebLogic | Instances | InstanceName | WebLogic Manager. 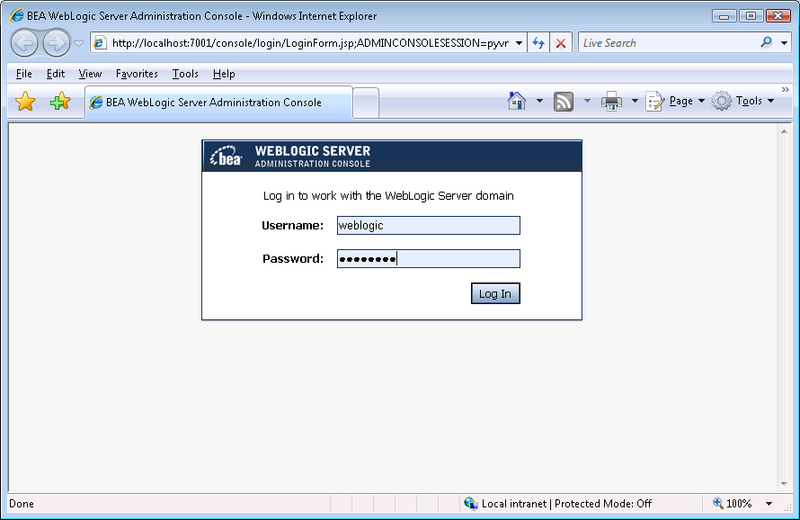 The logon page of WebLogic Server Administration Console appears. Step 2: Input user name and password to log in to the Administration Console. The WebLogic Server Administration Console main page appears.